In the Penn Museum, in Philadelphia, there is an obscure game that was discovered in the Royal Tombs of Ur, in particular in the Tomb of Puabi. The Tomb of Puabi was excavated by Sir Leonard Woolley, between 1922-1934, and according to the notes in the Penn Museum, this particular game was found in 1928. The tomb is dated to 2600-2450 BCE. Most items were found intact. No one really knows who Puabi was, although she was definitely very wealthy and had an official title, which is why often she is called a queen. Currently, the discovered items are split up between the British Museum, the Penn Museum, and the Baghdad Museum in Iraq. Game from the Tomb of Puabi in the Penn Museum, B16742. Photo: Penn Museum. This particular game (object B16742) was broken when it was found and the tiles were glued by the restorers in a kind of random pattern. 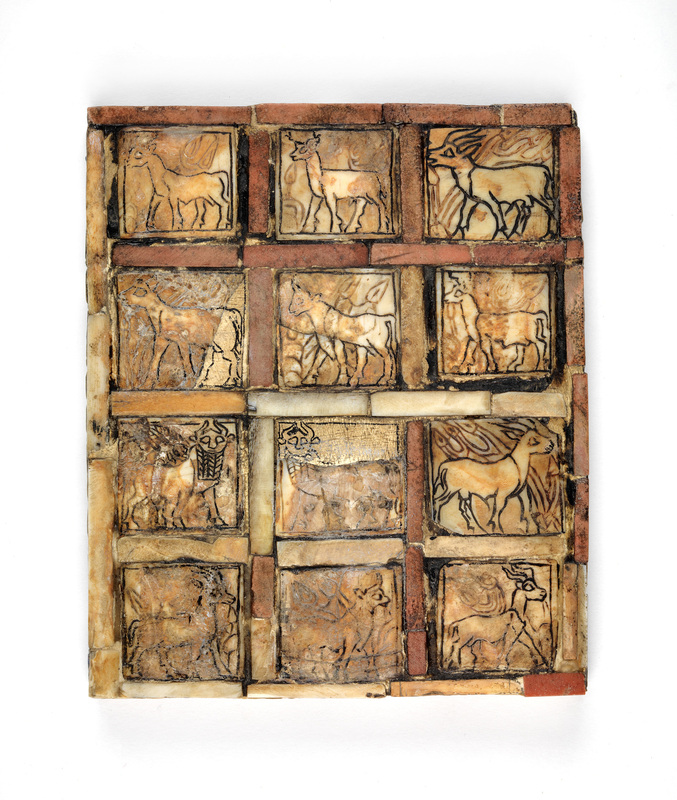 Each tile has a picture either of a gazelle, a bull, or a goat. There are 12 tiles total in a grid of 3×4. Most tiles seem to be matching pairs of the same animal, one facing to the right and the other to the left. Although out of the 12 found tiles, only about 6 of them match exactly. There were no playing pieces found with the board. No one has ever attempted to try to resurrect the rules of this game. Even the game itself has not seen much light of day, being not on display in the museum for most part. 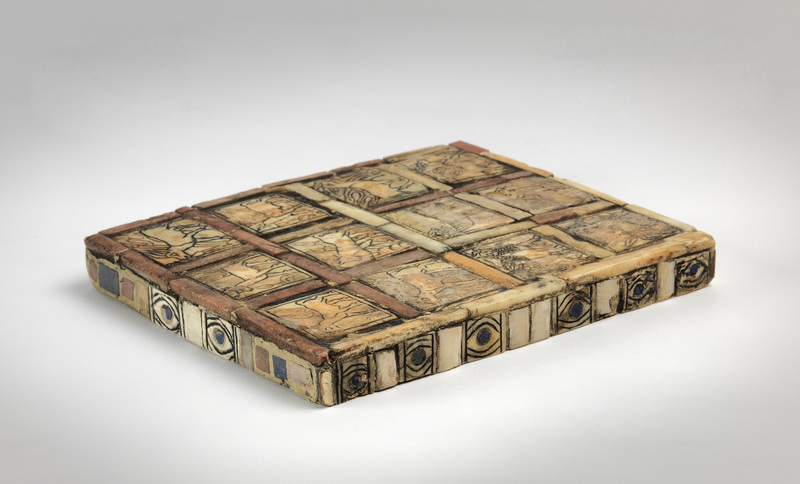 The sides of the game board have a similar pattern of decorations as the Royal Game of Ur, which was found in the same set of tombs, and probably used similar playing pieces. I am currently experimenting with a friend on trying to play this game in various ways to see if we can somehow resurrect the rules and make this game live again. Zettler, Richard L. and‎ Lee Horne. Treasures from the Royal Tombs of Ur. University of Pennsylvania Museum of Archaeology and Anthropology, 1998. p. 60. The tiles are all the same size. So they could fit into any of the slots. The restorers glued them in without any particular pattern in mind. This is pointed out in the Penn Museum book. Hey Buddy!, I found this information for you: "A Game from the Tomb of Puabi from Ur – Part 1". Here is the website link: https://www.ancientgames.org/game-tomb-puabi-ur/. Thank you.